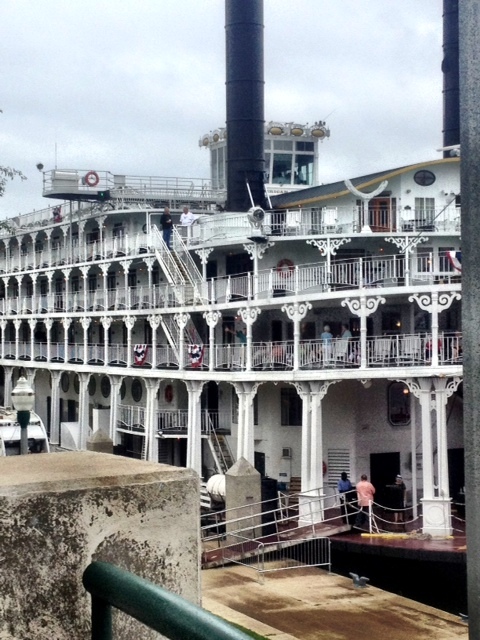 The American Queen on her way down river. When it’s late on the west coast most of my east coast friends are in bed. Nights are very lonely when you’re away from home. Last night I dreamed of being back in Madison again, but the town was empty. I walked all the trails and didn’t find anybody there, either. I don’t know what my sun-burnt brain was trying to figure out while I was sleeping, but I’m glad all my Madison friends are still there. 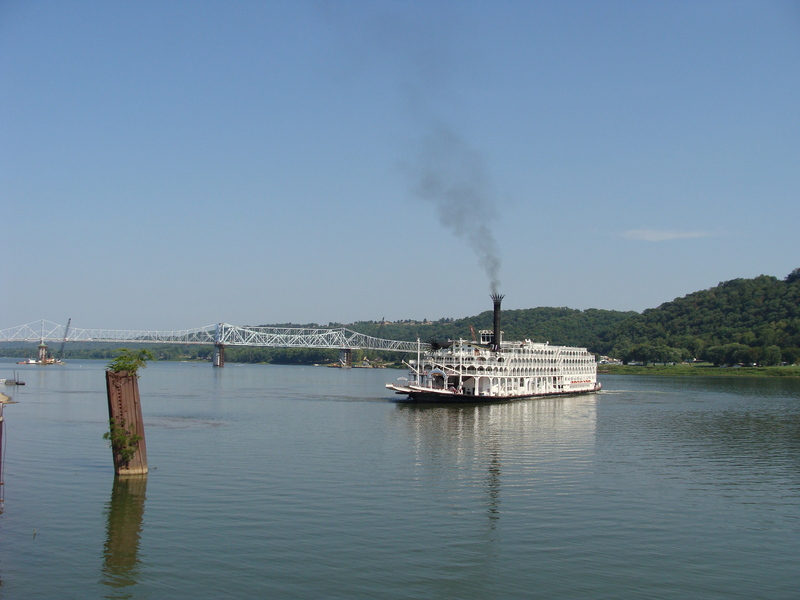 I’m going to start you off with a video of the stack going down. I think this is just so cool. 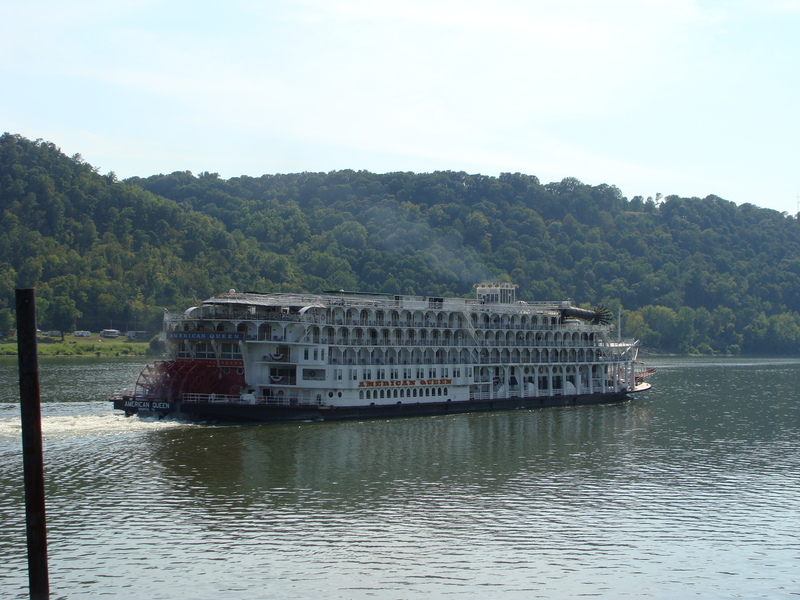 Here are a few more photos of the American Queen as she made her way back down river on our last day there, as well as a few from Shannon Pearson, a great reader in Point Pleasant, West Virginia! 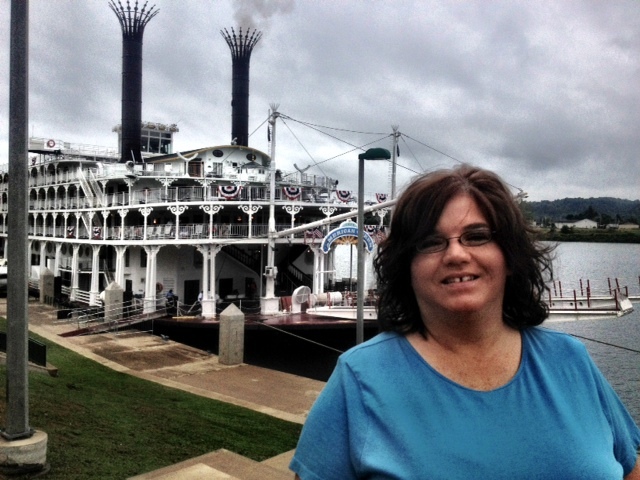 Shannon will receive a jar of jam for responding to a call for reader pics of the American Queen on my Facebook page. 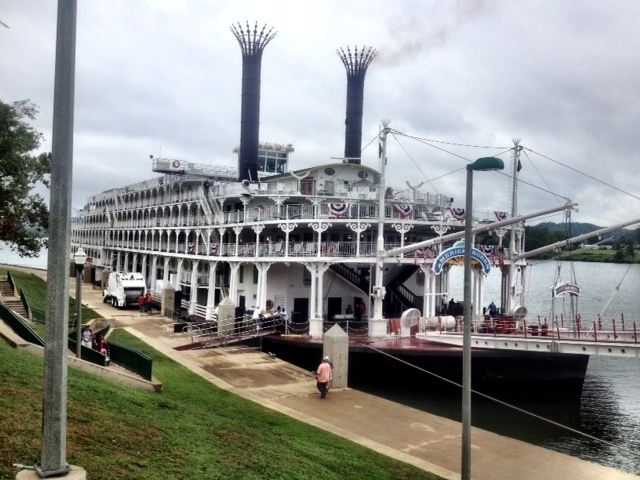 Shannon Pearson and the American Queen riverboat. 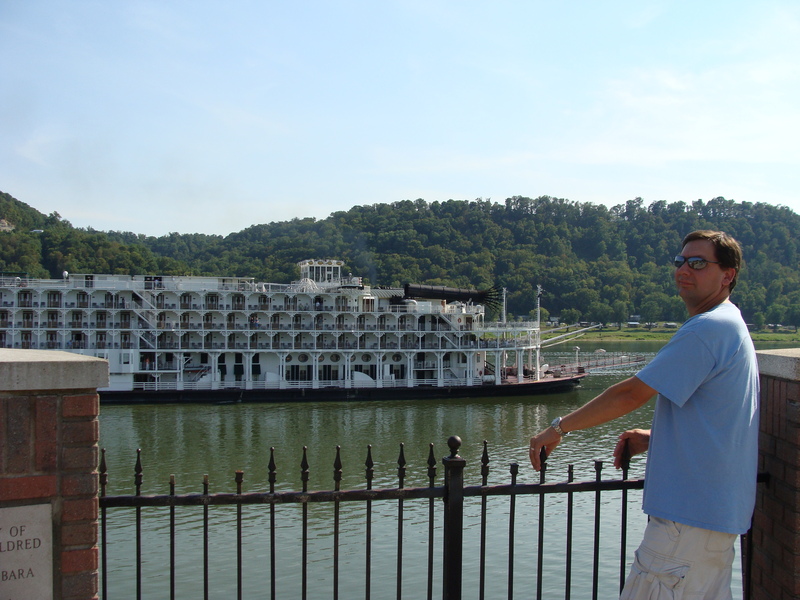 Here he is on the overlook watching her head downstream. On Crescent Bay tide pools, and sun making me (more of) a fruit loop.